This is the best ever phone by the company OnePlus. They sure didn&apos;t settle for anything this time. The phone has a great design and the bezel-less display makes it even better. The camera quality is superb and the phone comes with the dash charge technology. Probably the best phone by one plus team. Reasonable and has almost all the features of super expensive phones. I own a one plus 5t, which I purchased in the month of December, 2017. After using it for a period of approximately two months. The OnePlus 5t is one of the best deals in tech, offering fantastic features for a great price. The phone is awfully fast and doesnt hang much. The dual camera also stands out. The phone has a sleek design and looks good. The Best Android phone ever. I&apos;ve been using it for 2 months and just loving it. I really can&apos;t prefer any other phone over this. This phone will never hang and just perfect for business purposes also. 60 Pricebaba users have written their experience with OnePlus 5T 64GB. 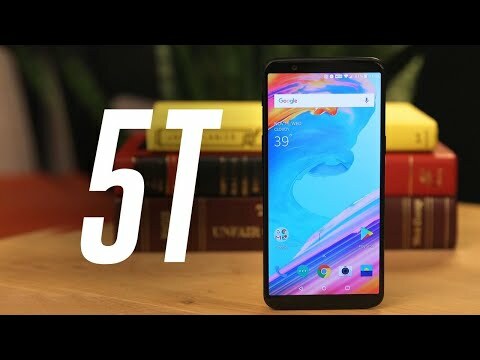 If you own OnePlus 5T 64GB, please do leave your feedback too. OnePlus has joined the bezel-less smartphone bandwagon with the launch of its latest OnePlus 5T. The device sports a 6-inch AMOLED display with resolution of 2160 x 1080 pixels. It has a pixel density of 402 PPI. OnePlus has fitted a Corning Gorilla Glass 5 on the top for protection against accidental damage & scratches. In terms of design, the fingerprint sensor is mounted on the back due to bezel-less display. The phone sports a metal unibody & ships in Midnight Black color. A 3.5mm headphone jack is located at the bottom. Sensors on the phone include accelerometer, proximity, magnetometer, ambient light sensor & gyroscope. OnePlus has made improvements to the camera system on OnePlus 5T. The device still sports a dual camera system. The primary rear camera has a 16MP sensor while the secondary camera has a 20MP sensor. Both come with f/1.7 aperture & are accompanied by dual LED flash that can take better low light photos than the OnePlus 5. It also has PDAF system & comes with improved portrait mode. On the front there is a 20MP sensor for taking better selfies. The camera software has a host of features like digital zoom, HDR, face detection & RAW. The rear camera offers 4K video recording. Performance-wise, the OnePlus 5T has the same hardware configurations. It is powered by a 2.45GHz Qualcomm Snapdragon 835 octa-core chipset. It packs 6GB of RAM along with Adreno 540 graphics processor onboard. As for storage, the device comes with 64GB inbuilt internal storage without card slot support for storage expansion. The phone runs on Android 7.1 Nougat with the company’s Oxygen OS skinned on the top. The phone will be upgradable to latest Android 8.0 Oreo soon. OnePlus has added face unlock that lets you unlock your phone securely through your face. OnePlus 5T packs a 3300mAh non-removable battery. It offers company’s dash charging 2.0 technology. The device features a USB Type-C connector. It offers dual sim functionality with support for nano sim cards. Connectivity options on the phone includes 4G LTE, 3G, 2G, WiFi, Bluetooth, NFC & VoLTE. Read our full review of the OnePlus 5T. Ans: Yes, VoLTE connectivity lets you use Reliance Jio network. Ans: No, the 5T offers only 2 SIM slots with no support for card slot. Ans: On the front, there is a 16MP snapper for clicking great quality selfies. Ans: No, the user cannot remove the 3300 mAh battery of this device. 6.Does the phone support 4K video recording? Ans: Yes, the phone allows the user to record 4K videos (2160p).